Kristina received her J.D. 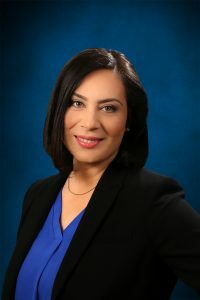 from Southwestern Law School in 2011, where she served as a judicial extern to the Honorable Philip S. Gutierrez of the Central District of California and edited the ABA’s Journal of International Media & Entertainment Law. She received her B.A. with honors from the University of Southern California in Political Science with an emphasis in Philosophy in 2001. Before joining the firm, Kristina specialized in complex business litigation at Stris & Maher LLP, focusing her practice in areas of employment, employee benefits, and healthcare litigation. Prior thereto, Kristina ran a solo practice devoted to advising employers in employment law matters and representing employees in a wide variety of employment disputes. Kristina is a member of the Labor and Employment Section of the State Bar of California, the San Fernando Valley Bar Association, and the Eastern European Bar Association. Kristina is fluent in Russian, and proficient in Armenian and Greek. Suggested Citation: Kristina Kourasis, Welfare Plans, in BNA ERISA Litigation (6th Ed. – Supplement) (2018). Suggested Citation: Kristina Kourasis, Employee Benefits Law, ERISA Preemption and Effect on Other Laws, in BNA Employee Benefits Law (4th Ed.) 2017.